THE SOUTH TEXAS STATE FAIR IS MARCH 24 - APRIL 2, 2011! VISIT THE BIG WHEEL FOR FRIED GREEN TOMATOES, CHICKEN FRIED BACON, AND THE BEST HAMBURGERS! 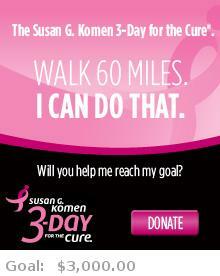 This year I plan on walking in the Susan G. Komen 3 Day for the Cure. Over 3 days I will walk 60 miles in memory of my father, Michael Dan Overall. Please support my cause by clicking the above icon. Thank you to the Jasper Air Show. This year's event, March 19-20, 2011, was held in dad's honor.